A heavyweight fight has been confirmed for the UFC’s return to Japan as Stefan Struve will likely face off with Mark Hunt. Sources close to the fight confirmed to MMAWeekly.com that verbal agreements are in place for the contest landing at Saitama Super Arena on March 2. 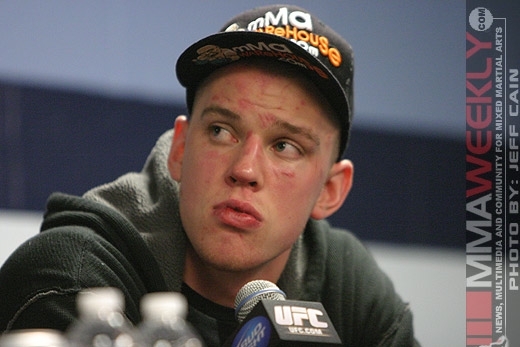 A winner of four fights in a row, Stefan Struve has slowly been making his climb into the top ten of the heavyweight division. The Dutch fighter literally grew up inside the Octagon, and now looks to take another step towards his ultimate goal of earning a UFC title shot at some point in the future. Standing in his way is former K-1 fighter Mark Hunt, who returns to his old stomping grounds in Japan for his next appearance in the UFC. Hunt is a winner of three fights in a row including knockouts over Cheick Kongo and Chris Tuchscherer, and now hopes to add a 7-footer to his resume when he faces Struve. While verbal agreements are in place, UFC officials have yet to announce the bout or where it may land on the UFC on Fuel 8 televised card.